After much hard work, I am pleased to announce that Iowa Pro-Life Action has successfully seen the Life-at-Conception Act introduced in the Iowa legislature late last week. The Life-at-Conception Act, S.F. 478, is the flagship bill for IPLA, as it would legislatively end abortions here in Iowa. The Life-at-Conception Act is very simple in its wording – but it is devastatingly powerful in its legislative implications. Our goal here at IPLA is to put our organization out of a job, that is to say, we don’t want to “manage” the pro-life issue. We don’t want to be a part of “tinkering” with the edges of the pro-life debate. We don’t want to be fighting the same fight in 30 years that we are fighting today, when it comes to the rights of the unborn. We want to see abortion ended – and we want to see it soon. That’s exactly what Senate File 478 would do. In other words, if someone kills an unborn baby, that murder would be treated just like any other murder here in Iowa because this baby is considered an innocent person just like any other murder victim would be. Simply put, the intentional killing of an unborn baby would have the same penalties and consequences of killing a gas station attendant during a midnight robbery. For pro-lifers like you and me, this is very simple. An unborn baby is a person. 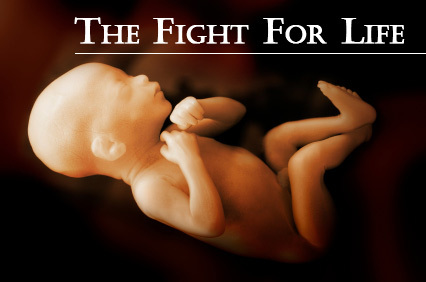 An unborn person has the same right to life that you and I have. And it’s time that our legislators in Des Moines recognize this fact! These men not only signed the Iowa Pro-Life Action candidate survey professing to support the unborn when they ran for office last Fall, but have now followed through on their promise to champion this important legislative project. As word of this bill gets public with this email, I know that the radical pro-abort lobby that prowls the Iowa Capitol will begin to howl. Undoubtedly liberal media will attack not only the bill, but the two legislators who put the bill forward. So take a moment to thank Senator Rick Bertrand and Senator Jason Schultz today. In addition to these two legislators, S.F. 478 was cosponsored by Senators Anderson, Behn, Zaun, Segebart, Sinclair and Feenstra. We applaud these legislators for their actions to date. Sodders, no friend of the unborn, will undoubtedly seek to bury this bill in committee without getting a vote on this critical legislation. >>> 1: Contact Senator Sodders and encourage him to move this bill through his committee as soon as possible. You can contact him via the Capitol switchboard number at 515-281-3371 or by emailing him at [email protected], or via Facebook. >>> 2: Contact your State Senator today, insisting that he/she support this bill as well. If your legislator’s name was not listed above, then your legislator has not yet supported the Life-at-Conception Act. >>> 3: “Like” Iowa Pro-Life Action on Facebook. Using our Facebook page, we are able to give you up-to-the-moment alerts about the right to life here in Iowa. Come join the almost 9,000 Iowans who are already on this page! >>> 4: Please make a critical donation to Iowa Pro-Life Action, now! IPLA is working to ramp up public pressure on this bill as quickly as possible using a variety of means, and your contribution of $100, $50, $25, or even just $10 would be very much appreciated at this critical juncture. Thank you for your support of the unborn! And thank you for your actions taken to date on behalf of the Life-at-Conception act. Please help us today by making your phone calls and sending your emails to Chairman Sodders. P.S. The Iowa Life-at-Conception Act was introduced into the Iowa legislature late last week! Being jointly sponsored by Senators Jason Shcultz and Rick Bertrand, S.F 478 would legislatively end abortion in Iowa by redefining a person to include all unborn life and then specifically outlawing the practice of abortion, as Iowa outlaws any other type of murder across the State. The bill is now in the Senate Judiciary Committee under the control of Chairman Steve Sodders, no friend of the unborn. Please take a moment to contact Senator Sodders today at 515-371-3371, or by email or Facebook, and make sure he knows that you expect him to advance this bill through his committee right away! And if you can, please help IPLA with your immediate contribution of $100, $50, $25, or even just $10! ← Life-At-Conception Legislation To Be Introduced In the Iowa Legislature!